When Nintendo first held its Switch preview events in mid-January, the general consensus was that Snipperclips was potentially the system’s secret weapon. 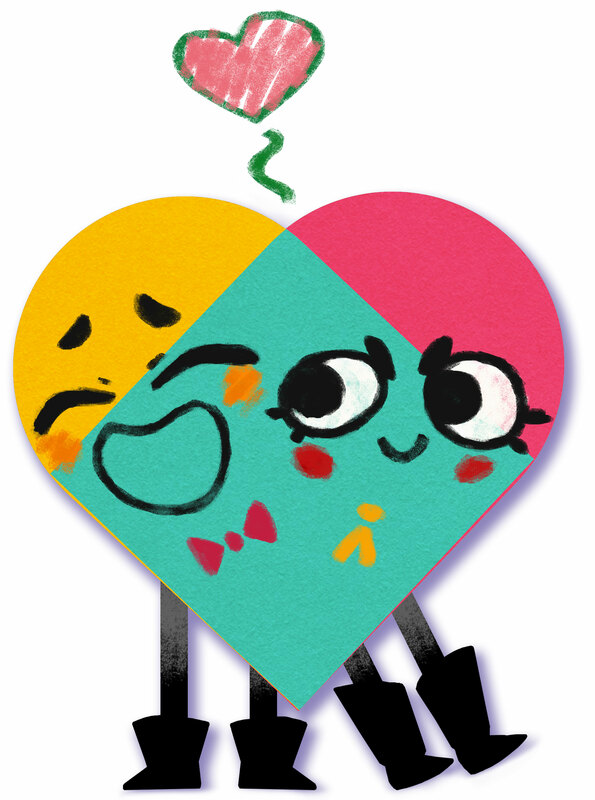 A co-op puzzle game that makes the most of the Switch’s JoyCon-sharing feature, Snipperclips put a smile on the face of anyone who tried it. What remained to be seen, however, was how the game would perform outside of Nintendo’s controlled environment, and whether there was enough content in there to justify forking over your greenbacks for it. 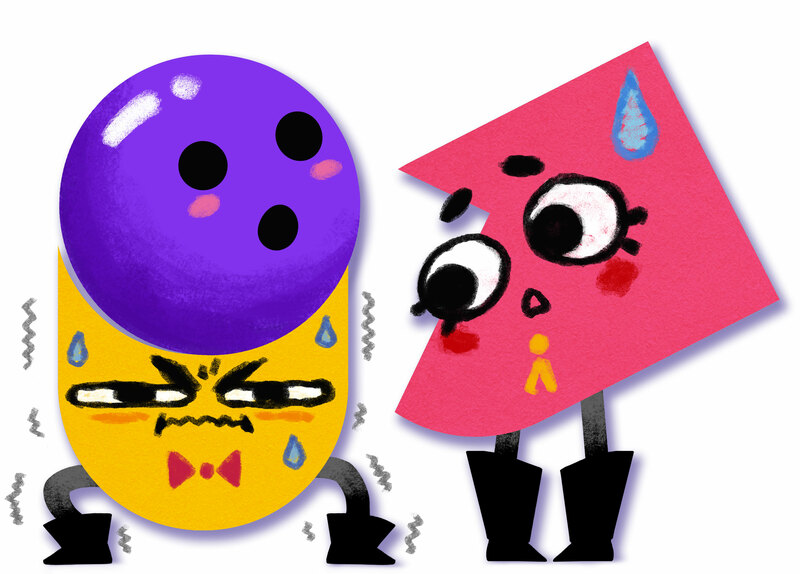 The result is an emphatic yes… as long as you have someone to play it with. 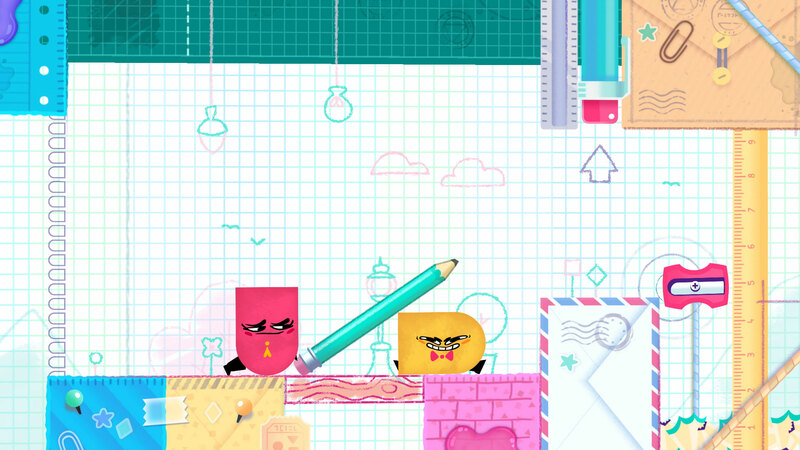 Much like being a teenager growing up Glasgow in the ‘70s, the aim of Snipperclips is to make your way through various stages by cutting people up. You and your partner are given a series of tasks to perform, but you only have four abilities: ducking, jumping, cutting and regenerating. You’re basically Logan without the salty dialogue. The tasks you’re given are fairly wide ranging, and it’s this unpredictability that makes the game such a joy to play as you never know what’s coming next. The most shared example is the stage in which you have to put a basketball in a net, using whatever means you see fit. Do you try to balance the ball all the way to the net? Do you cut a notch into your partner’s head so they can trap the ball easier and carry it over? Or do you do what I did: roll it along the ground, get my wife to cut me into a scoop shape, use the wall to help scoop it off the ground then cheat by jumping up into the basket so it falls back down through it? The great thing about Snipperclips is that each of these strategies is just as valid. There are no special awards or rankings for doing it the ‘right’ way: the only thing the game cares about is whether you get the job done. This means putting a pencil in a sharpener could either be a case of cutting a neat pencil-shaped notch into your partner and easily lowering it in, or descending into a sloppy ‘to me, to you’ situation in which both of you try to carry it over as if you were a couple of removal workers wearing rollerskates. This is all accompanied by wonderfully silly music and your characters’ tendency to make daft grimaces as they try to perform the challenge set for them. The whole thing’s a delight, basically. That is, it’s a delight for as long as it lasts. The main mode has a total of 45 stages, which means most co-op pairs will probably get through it within a few hours. Even though there are multiple ways to beat every level, there’s no real incentive to go back and do them again. Maybe they could have added a timer to the levels so you had a reason to replay stages and try to beat them faster, but as it is once they’re done, they’re done. With these 45 levels out of the way, what’s left? Well, there’s Party Mode, which is playable by 2-4 players. This consists of several more complicated puzzles, and gives you four characters to control instead of two. If you’re only playing with two players then each is given two characters to control and – much like solo players in the other mode – can switch between them with a button press. Get four people involved and this mode is brilliant: there are fewer stages but the puzzles are more complicated and need all four characters to work together so they’ll take a bit longer to beat. Finally, there’s Blitz Mode, also known as ‘filler’. It turns the game from a co-op one to a competitive one, offering three mini-games: a basketball one, an air hockey one and a ‘fight’ one where you just have to snip each other until they’re all snipped away. While the basketball game is funny for a couple of minutes, ultimately these are a bit of a waste of time and chances are they aren’t going to have you rushing to separate the JoyCon on a regular basis. It’s the main mode (and the Party mode, to some extent) that will grab your attention here, then, and there’s currently nothing better on Switch if it’s co-op goodness you’re after. It may not last too long, but while it does it’s a fantastic laugh. If you don’t have a friend, family member or loved one to play with, though, you might want to give serious thought to buying something else instead. Aside from the fact that two of the three modes can only be played with 2-4 players, playing the main mode alone is a bit of an empty experience. 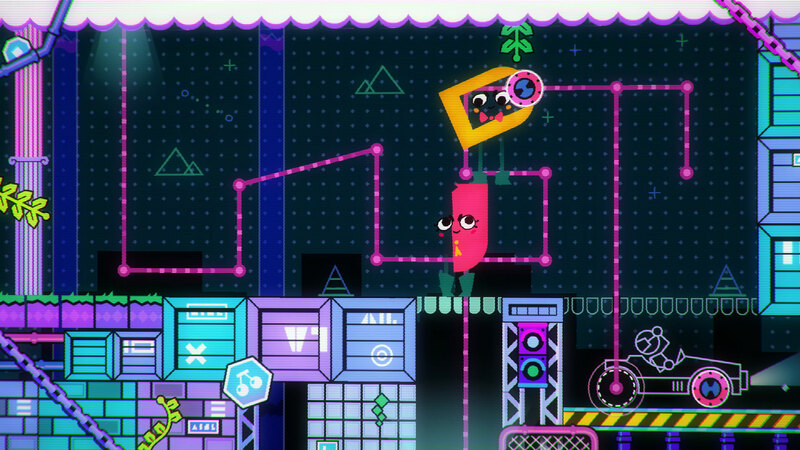 Playing a Snipperclips level solo is the gaming equivalent of masturbating when you’re going out with someone: it’s satisfying enough but as soon as the task’s completed there’s an overwhelming feeling of guilt and the knowledge that this isn’t the way it was designed to be done. Um… play it with someone else, is what I’m saying. 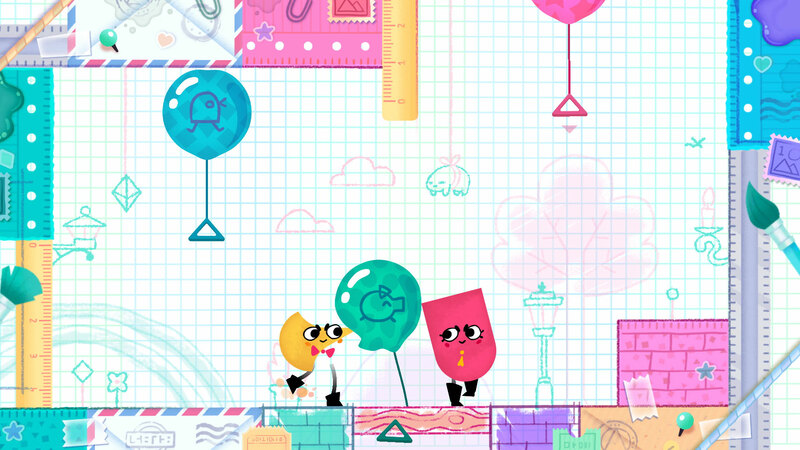 Snipperclips is available now on the Switch eShop, priced £17.99 / $19.99. You can also get a download code from Amazon UK.